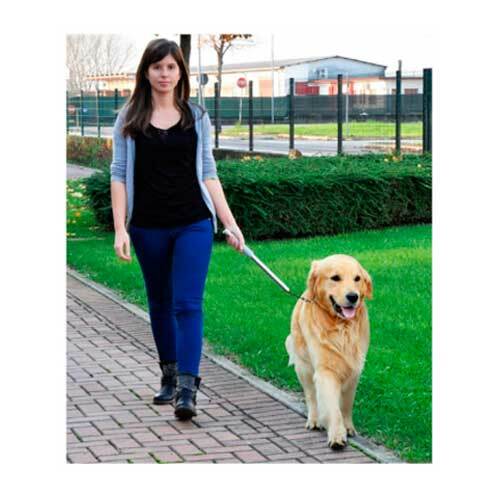 With Walkydog bike riding with your dog is perfectly safe because the light steel bar away to an animal of the bicycle and keeps it at one sufficient distance to avoid unwanted crosses. Also allows you to have free hand to indicate changes of address, etc. With all this guarantees your safety, as well as his dog and his bike. Very easy to use and adapts to all bicycles (support of the saddles) stems; It has also a quick closure to attach it or remove it in an instant. 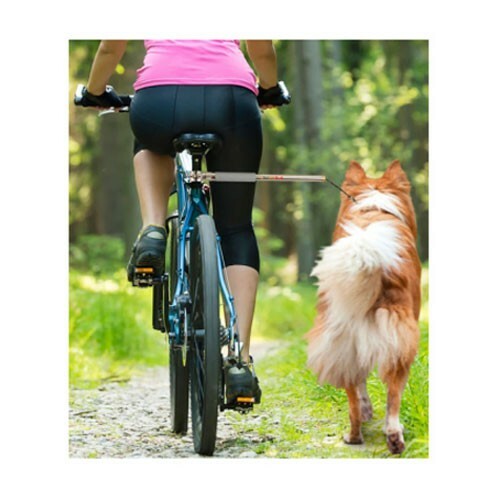 When you take away the bar of the bicycle, you can use as a short leash for walks with your pet. You and your dog can perform together their favorite walks doing both an excellent exercise to good health and a burst of energy necessary to relieve the stress that entails, to a descendant of the Wolf, live between 4 walls! It is very comfortable and the animal is adapted to use immediately. 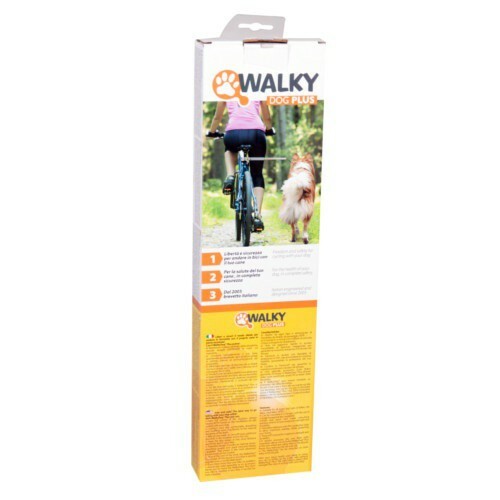 Test first walking with your dog tied to the Walkydog, and see how quickly it is customary to walk with the bike. 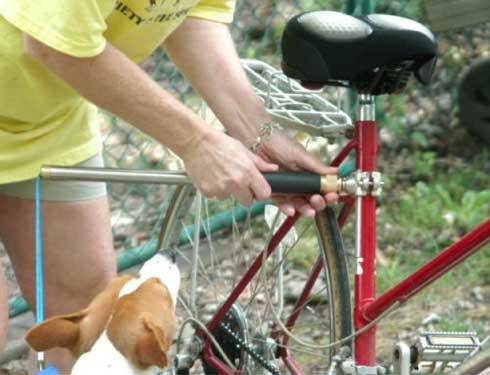 Inside the bar, there are three springs that can absorb a stretch if your dog suddenly pull of the rope; This prevents that it can throw you bicycle. You can remove one or two of springs according to strength and weight of your dog and the length that you want to give to the rope. Another reason more exercise and accompanied by good! You can also purchase in our store accessory Low Rider, which allows you to set the bar of steel to the axis of the rear wheel. This system is recommended for large or very strong dogs that prevents them to pull his master bike. Many people prefer it also for small dogs, as this accessory is located the bar close to the ground.